Former Minister, Pawan Gupta, ex MLA, Balder Sharma, YCI leader, Raman Suri, PK Chief, Ashwani Chrungoo & others joining BJP at Jammu inpresence of party national general secretary RamMadhav and Union Minister Dr Jitendra Singh on Sunday. JAMMU, Jan 20: The BJP has been concerned about situation faced by the party in Ladakh following exit of its first-time Lok Sabha member Thupstan Chhewang from the party and his refusal to return to the party fold and was now banking on the visit of Prime Minister Narendra Modi to Leh on February 3 during which it hoped that some sops likely to be announced that day would help party retain the Parliamentary seat and it has already started search for “suitable replacement’’ of Chhewang. The party has, meanwhile, ruled out any pre-poll alliance in the State in the Assembly elections and decided to go it alone. Top party leaders during their strategy sessions in Jammu today faced divided opinion from the State unit with some of the leaders supporting the move for simultaneous Lok Sabha and Assembly elections while few others calling for deferring the Assembly polls by few months. There was strong opinion of a section of the BJP functionaries that the party should change some of candidates on 25 Assembly seats, which it had won in 2014, to retain them in view of strong anti-incumbency factor against some of the MLAs of the dissolved Assembly. Officially, however, the BJP had taken a stand that it was for the Election Commission of India to decide on when to hold Assembly elections in the State and the party would abide by the decision. 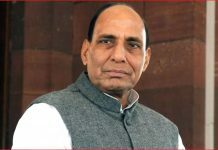 However, sources said, Union Home Minister Rajnath Singh or Home Secretary Rajiv Gauba were likely to visit the State next month for on spot assessment of the situation before giving the MHA view point to the Election Commission of India on conduct of simultaneous Lok Sabha and Assembly elections or slightly deferring the Assembly polls in view of security considerations. 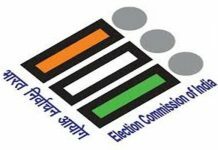 As reported, the full Election Commission of India is scheduled to visit the State very soon to meet representatives of political parties and officers of civil and police administration before taking a decision on simultaneous polls. 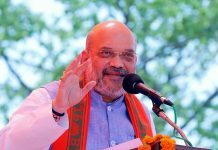 Sources said the BJP top brass has decided to depute senior leaders to Ladakh to decide party’s strategy for Lok Sabha elections and work out a panel of candidates to contest the Parliamentary polls as the party wants to retain the seat, it had won for the first time in history in 2014, at any cost. 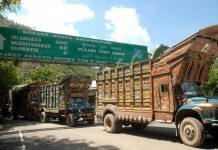 The BJP was also confident that some of the sops likely to be announced by the Prime Minister during his visit to Leh on February 3 for Ladakh region, would help the party regain the lost ground in the wake of sitting MP Thupstan Chhewang’s resignation and defeat in recently held Municipal and Panchayat elections though the party controls all powerful Ladakh Autonomous Hill Development Council (LAHDC), Leh. 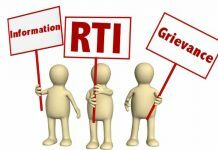 According to sources, some of the BJP leaders have stressed the need to change some of the sitting candidates in the Assembly elections in view of resentment against them among the people. The party was seriously considering the option of changing some candidates, sources admitted but said the final call will be taken by the party high command. On simultaneous Lok Sabha and Assembly elections also, there were two opinions within the BJP, sources said. However, majority opinion was that the party was comfortably placed even if the Assembly elections are held with Lok Sabha polls in April-May. Few others were of the view that the Assembly elections should be held in October-November when Narendra Modi, Amit Shah and other party leaders will get more time for campaigning in Jammu and Kashmir as they would be busy in big States during the Lok Sabha polls. Meanwhile, ruling out any pre-poll alliance in the State, Bharatiya Janata Party national general secretary incharge J&K Ram Madhav today made it clear that his party would go it alone in the upcoming Assembly elections but exuded confidence that party would form a “stable Government with some friends” in the State. Addressing a convention of BJP Mandal presidents at party Headquarters here, today, he said some non BJP friends who are wedded to national cause have emerged in Kashmir and some Kashmir centric parties, who are day dreaming to return to power, will never succeed in their designs. Addressing the meeting, Union Minister, Dr Jitendra Singh said that BJP is always ready for elections but those who accuse the BJP that party is hesitating to hold poll in the State themselves take refuge under poll boycott. Ram Madhav without naming NC and PDP said that one party is day dreaming to return to power while other is facing a strong revolt within. Madhav, who showed confidence that NDA will bounce back to power under the leadership of Narendra Modi and BJP will improve its tally in J&K by crossing the mark of 44 plus mark, asked the party men to become the “killer instinct” to wipe out the opposition parties in the State. “You have to ensure that only those people will reach to Parliament who will say Hindustan Zindabad”, he said and asked party activists and leaders from the State to set a goal that BJP will win all six Lok Sabha seats from the State. He said LS elections could be held any time from April to May and for Assembly elections the decision will be taken by Election Commission of India. Whether Assembly poll will be held with LS elections or later depends of EC’s decision but party is always ready for the same, he added. Making a dig at Kashmir centric parties, he said when in power they say some thing and in opposition say quite contrary to that. These parties have adopted the policy of double standards and BJP workers have to expose them, he added. 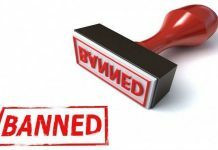 He took serious exception to the statement made by certain people calling the Government’s order binding employees to attend the Republic Day function as dictatorial. 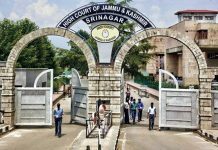 Madhav said it is unfortunate that unlike other states of the country in J&K the Government has to issue order asking its employees to ensure participation in R’ Day function. He favoured tough action against those employees who defy the order. “So it is time that we have to ensure victory of nationalist people from Kashmir”, Madhav said, adding “ we will show better performance this time than that of 2014 and party will bag all four Assembly seats from Ladakh region too, he added. Taking a dig at former Chief Minister and NC president, Dr Farooq Abdullah who termed EVMs as “Chor Machines”, Madhav said with these EVMs he won the Parliament seat last time when only seven percent votes were polled. He also reminded him that with these EVMs Congress won elections in MP, Rajasthan and Chhatisgarh. 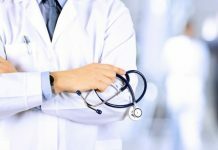 Asking party activists that they have nothing to lose heart as Modi led NDA Government has performed for better than opposition parties at Centre over these years and in J&K party Ministers performance was also good but they were not knowing the technique being novice in the Government. He said PM will lay foundation and inaugurate new projects worth Rs 35000 crore in J&K on February 3 and will visit all the three regions of the State in a single day. Madhav asked the BJP leaders and activists to take credit of all this and highlight the same before the voters and ensure the victory of party candidates. “Your killing instinct should work so fast that you should ensure that other parties don’t get even candidates to field in elections”, he said, and asked them to meet leaders, Panchs and Sarpanchs owing allegiance to opposition and bring all those leaders in BJP fold who have public backing by emptying the offices of other parties. Maintaining that J&K is safe in the hands of Narendra Modi, Ram Madhav said that during the Governor’s rule militancy has been contained and no youth dares to join militant ranks now in Valley and the terrorists are on run. He asserted that situation will be quite normal soon. Madhav also took a dig at Third Front saying that those who have not even confidence about themselves are talking of protecting the nation. He said that nation needs a visionary, bold, charismatic, pro development incorruptible PM like Modi and there is no such candidate in Mahagatbandhan. Scoffing off the statement regarding projection of Rahul Gandhi as PM candidate, Madhav said even Congress do not like to declare him as PM candidate of the party and those who banked upon the Congress in past where ruined. Terming Congress a sinking ship, he said those who will join hands with the party will also get drowned while citing the example of former PMs including V P Singh, Chandershekhar, I K Gujral etc. He made it clear that without BJP no Government is possible in J&K and lambasted the NC for raking up 35 A issue to boycott the ULB and Panchayat elections. 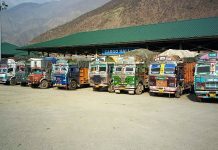 The party is playing duel policy and despite 35A they contested the Ladakh Autonomous Hill Development Council Kargil (LAHDC) elections, and later boycotted Panchayat and ULB poll in the State. He said in Narendra Modi’s dream of New India the J&K will hold equal position along other states of the country. Earlier at the press conference Madhav said “there is a least possibility of a pre-poll alliance with any party for the assembly elections in the state. BJP will emerge the largest party after the elections and will give a stable government to the people with some friends,” he told reporters here. Madhav said his party would fight the elections from all the seats and “we have no hesitation in joining hands with others” due to special circumstances to form the Government. After the last Assembly elections, he said the BJP and People’s Conference did not fought the elections together as coalition partners. “After elections, we formed an alliance partnership but today again BJP is going it alone in the elections”. He said Prime Minister Narendra Modi is arriving in the State on February 3 to kick start the election campaign of the party for the upcoming Parliamentary and Assembly polls in the State. The BJP leader said BJP wants restoration of the popular Government in the State, dispelling rumors that the party is not in favour of the polls. On the expulsion of former Minister Altaf Bukhari by PDP, he said “I don’t want to talk about internal matters of another political party but I must underscore one point here that he is the same leader who was projected as the Chief Minister of the combined opposition when they (PDP, Congress and National Conference) were trying to form the Government in the State just a couple of months ago. “Now why a person who was supposed to be PDP’s nominee for Chief Ministership today became so unwelcome for the party… I don’t know they only can answer. We have nothing to do with it,” he said. 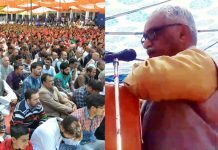 On rehabilitation of Kashmiri migrant Pandits who completed 29 years in exile, Madhav said the roadmap for the return and rehabilitation of the community is ready with the party and will take shape only when the situation in the valley becomes conducive for their return. “When we formed the Government in the State, we had a road map for the return and rehabilitation. We have identified land at five places in the Valley for Pandits townships. 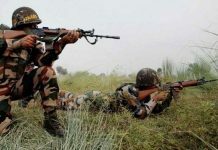 It goes to the credit of former Chief Minister and PDP patron Mufti Mohammad Sayeed Government at that time that five such places have been identified as well but due to various reasons, it could not materialize – the biggest being the prevailing security situation in the Valley,” he said. “There is no question of non-seriousness on the part of the Central Government. We are bound to safeguard the political and other rights of the community,” he said. On the problems being faced by west Pakistani refugees in getting the package announced by the Centre for their rehabilitation, he said every attempt will be made to address any difficulty faced by the community in getting the relief. “We will ensure that the refugees get their relief and will look into the procedure to make it easy for them as we did in the case of displaced people from Pakistan-occupied Kashmir (PoK),” the BJP leader said. Dr Jitendra Singh while hitting out at Opposition for leveling allegation that Jammu was ignore in last five years said that maximum share of funds sanctioned under CRF went to Jammu and five years allocation to the state was equal to all regions. He asked the party to counter opposition parties when charging you of softening stand on 370 that what was NC’s stand on Section 35 A. “Earlier they boycotted elections to protect 35 A and now they are fighting elections to protect 35 A which is quite contradictory and smacks of party’s desperation, he added. Maintaining that BJP has a committed and dedicated cadre under the leadership of Narendra Modi, Amit Shah etc he, showed full confidence that party will sweep both LS as well as State Assembly elections. He said when BJP won ULB elections in the State the NC, Congress and PDP said that they are celebrating defeat as their vote share has decreased then they should apply the same theory to MP where our vote share has increased but we got some seats less than Congress, he added. Dr Jitendra Singh made it clear that BJP is natural choice for Jammu and “if we fail it is not failure of people but some of us”. Maintaining that BJP is party with difference, he said “what we did in five years Congress could not do in 65 years”. He said Yuva will be a decision maker in elections who have full faith in the leadership of Narendra Modi and Amit Shah. BJP national vice president Avinash Rai Khanna, State president, Ravinder Raina , MPs Jugal Kishore Sharma (LS) and Shamsher Singh Manhas, (RS), former Dy CMs, Dr Nirmal Singh and Kavinder Gupta, ,former Minister Sat Sharma, MLC Ashok Khajuria , State general secretary (Org), Ashok Kaul and other leaders addressed the Samelan. The programme was coordinated by party general secretary, Dr Narinder Singh. During the programme some prominent leaders and social activists joined the BJP. They included former Minister and ex MLA Udhampur, Pawan Gupta, former MLA, Reasi, Baldev Raj Sharma, social activist and former general secretary, Youth Congress Raman Suri, Panun Kashmir president and Human Rights activist, Ashwani Chrungoo and others. Meanwhile strong man from Ladakh and former MP from the region, Thupsang Chewang and former Minister and MLA Basohli, Ch Lal Singh were conspicuous by their absence. 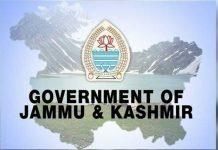 It may be recalled that after floating Dogra Swabhiman Sangathan, Lal Singh is skipping BJP meetings while Chewang has already submitted his resignation to the party and is not happy with the style of functioning of its State leadership accusing it of giving a raw deal to Ladakh region and its leaders. Meanwhile according to Party sources, 70 percent among the legislators have given their opinion to party central leadership that the Assembly poll in the State be held simultaneously with LS elections.